Today I have a collection to share that I am SO excited about! 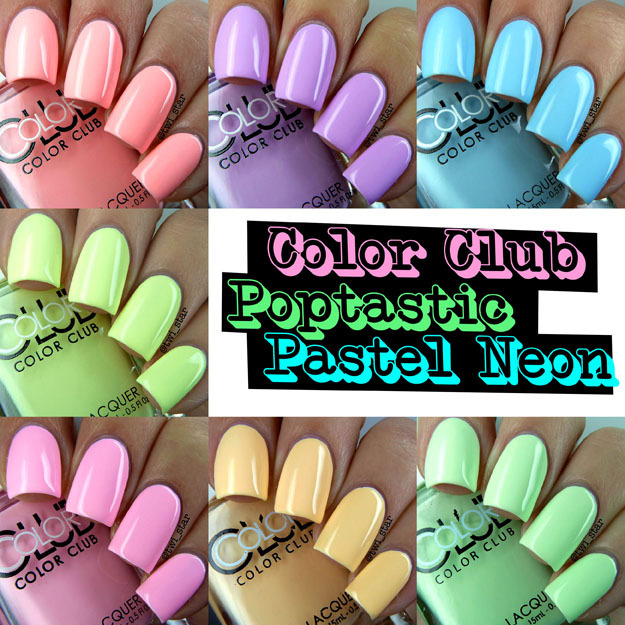 They are just me in a bottle lol I'm talking about the Color Club Poptastic Pastel Neon Collection for Spring 2015. ALL the things I love, crème finish, pastel, and neon! Well, washed out neon if you want to be specific. You may have seen a lot of swatches of these on instagram and heard us all talking about the.... not so great formula? Well, ok they're not perfect BUT I kind of expect that with these types of colors AND if you use a white undie (like I do with all neons) they are perfectly fine! I only needed 2 coats of each color over 1 coat of white to reach full opacity with no patchiness or streakiness. Now, if you didn't use a white undie these would probably take 3 or 4 coats to be opaque and even out. So, moral of the story kids: don't forget to wear clean undies with these! Onto swatches and reviews! Want to see more? Click below! First up is 'Feathered Hair Out To There' a bright bubblegum pink. 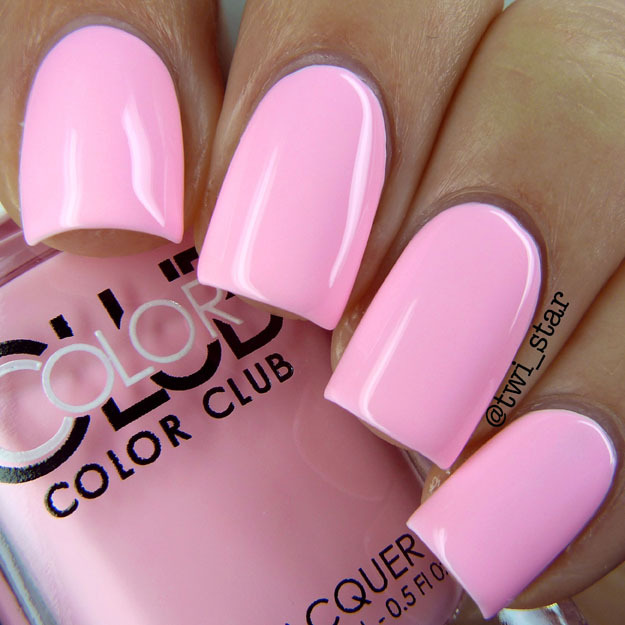 I love all the pinks and this one is no exception. I wouldn't call it unique but it is bright and just made me feel happy when I had it on. I felt like it was pretty flattering against my skin tone and will look amazing in the Summer. I used 2 coats over 1 coat of white, first coat is definitely patchy but the 2nd smoothed everything out and was fully opaque. Next up is 'Hot-Hot-Hot Pants' a pink leaning peachy color... you know what I mean with that description haha! This was probably my fav of the bunch and seemed to have the best formula. Super flattering and just made me want to go hang out at the beach. Shown here with 2 coats over 1 coat of white. Love this! Next it 'Disco's Not Dead,' how do I describe this? It's not really peach but not orange but not yellow? I'm at a loss here lol But I LOVE it! It's unique, well at least to me, I have nothing like this one. It seemed like one of those colors that you see that really cool girl wearing that you want to be like lol Too specific? haha! Big fan of this one, a great option for those that want the bright neon look but are more into neutrals, dare I say work appropriate? I used 2 coats over 1 coat of white, and same thing as above the first coat is very streaky but the 2nd makes it completely opaque. What neon collection is complete without a yellow? 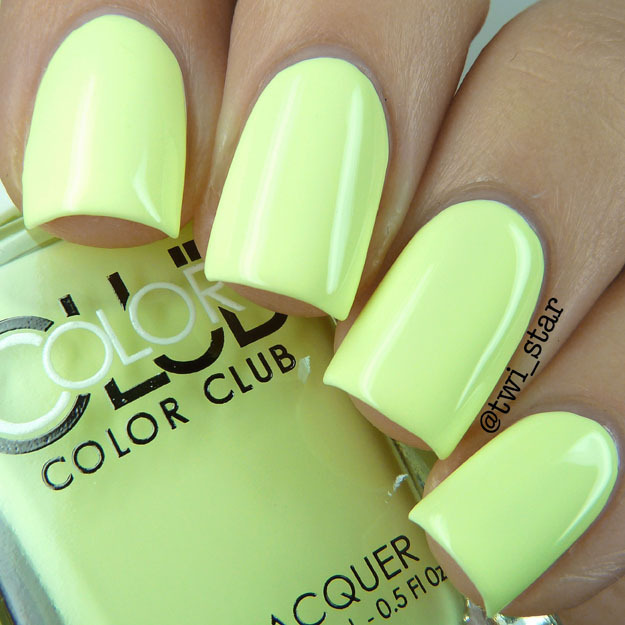 This is 'Under The Blacklight,' a washed out highlighter yellow with maybe a tinge of green. Don't get me wrong, I adore a highlighter yellow mani but this is a great alternative for when you want that yellow feel but maybe just toned down a notch lol That's rare for me but sometimes I'm tame! Like the others I used 2 coats over 1 coat of white. Next up is ''Til The Record Stops,' a pale lime green that maybe leans a little blue. At first I thought it was going to be similar to 'Under The Blacklight' but they ended up being very different. This color reminded me of a margarita! Yumm! 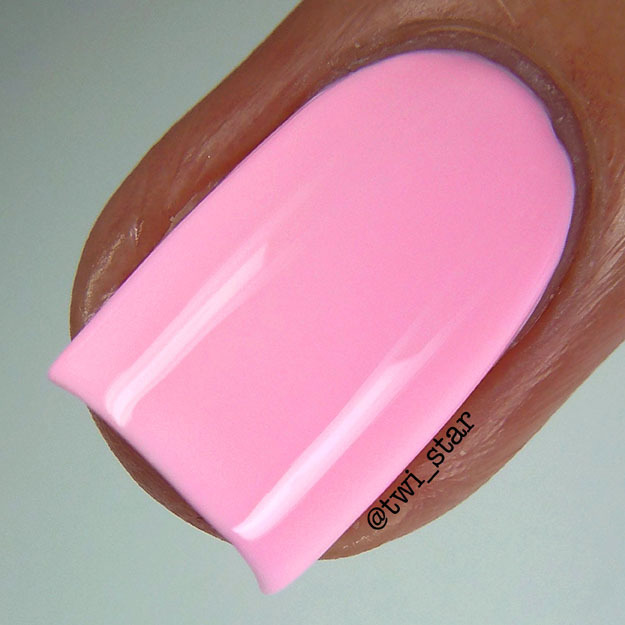 Shown using 2 coats over 1 coat of white, same streaky formual but perfectly opaque with the 2nd coat. 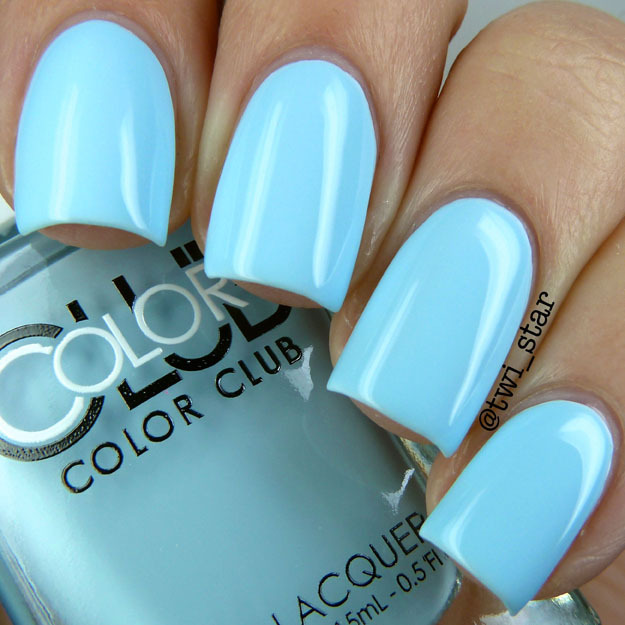 The next color is 'Meet Me At The Rink,' a bright baby blue, again not a unique color but still pretty and looks great. 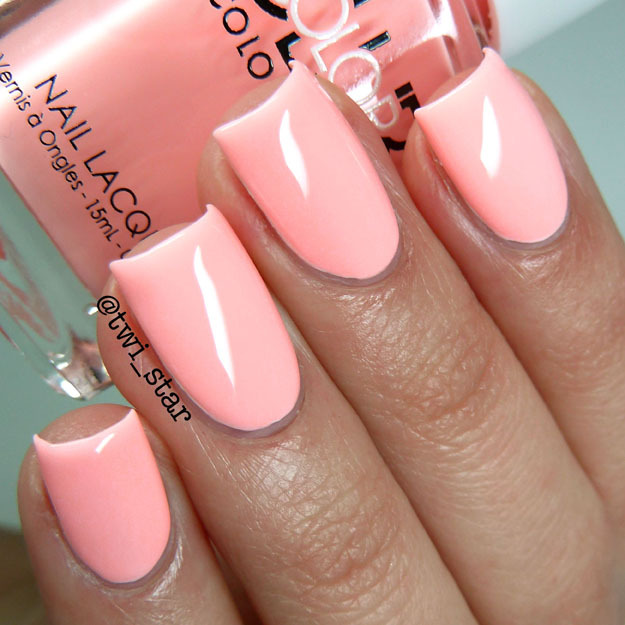 Hhmmm I guess I will say that even though it's not unique the brightness of this polish made it really fun to wear! I used 2 coats over 1 coat of white, one of the more difficult of the bunch but still fully opaque on the 2nd coat I just had to make sure I really smooth it all out. 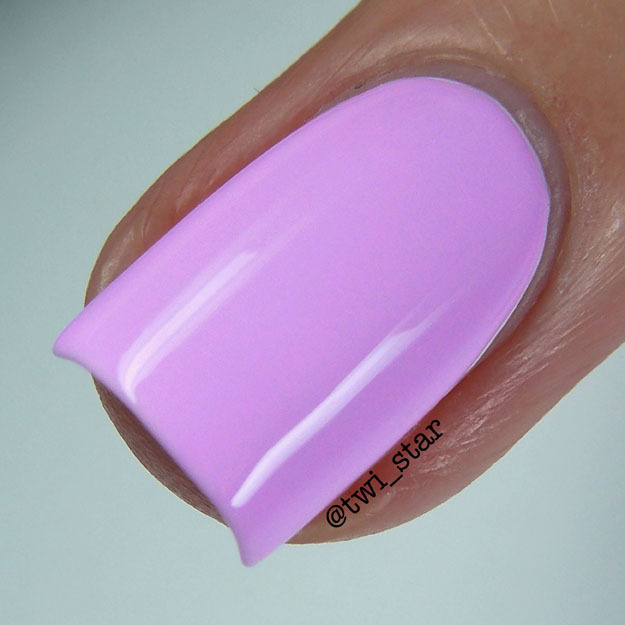 Last is 'Diggin' The Dancing Queen,' a purple with a pink tone to it. How gorgeous right? 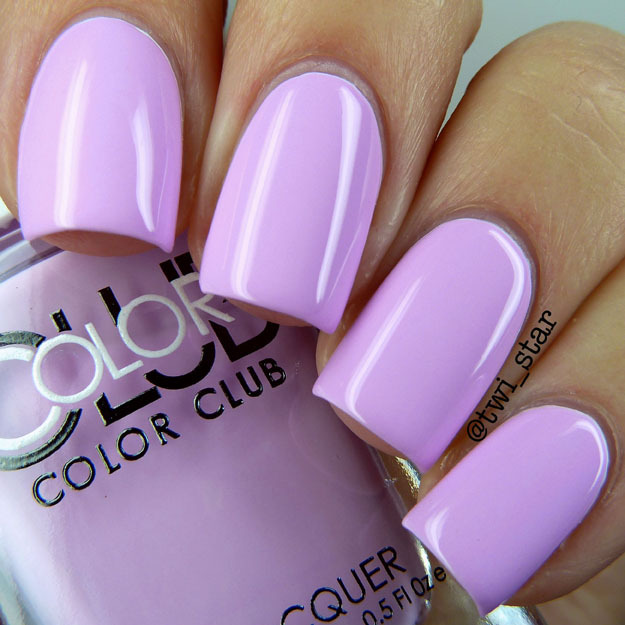 It looks like candy or a cupcake or just some sort of delicious treat lol Such a girly color. This one was probably the worst formula in the collection. It was almost like I could see the pigment floating around in it, on the nail it sort of looked a little gritty? And went on a little frothy. Weird lol But it was still fully opaque on the 2nd coat and the gorgeous color made up for it's formula. Show here using 2 coats over 1 coat of white. 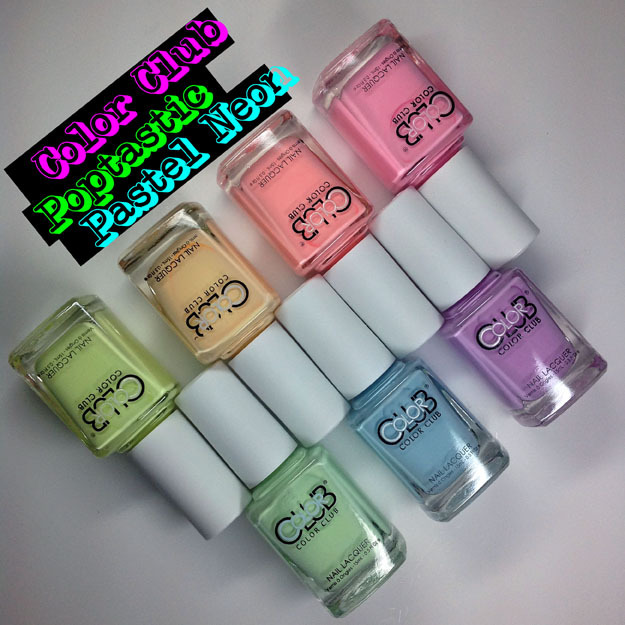 The verdict: Even those I mentioned the streaky patchy formula with every color I am STILL recommending all of the Color Club Poptastic Pastel Neon Collection. For me at least, using 2 coats of color over 1 coat of white really isn't an issue. If it took 3 coats over white, well then I'd probably be signing a different tune. 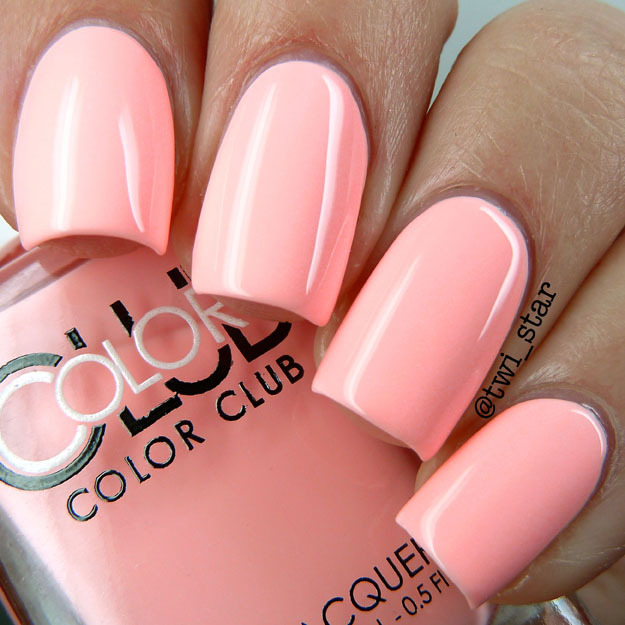 If you are someone that can't be bothered with more than 2 coats then no, these are probably not for you. These colors are just so bright and gorgeous! I love them all and can't pick a fav! Ok maybe 'Hot-Hot-Hot Pants' is my fav lol Thanks for stopping by!